Virtual Private Server (VPS) refers to a virtualized server specifically built to stimulate a dedicated server. The process, however, is done within a shared web hosting environment. Technically, it is both shared and dedicated hosting. Apart from the aforementioned, using a VPS hosting could give you the so-called “superuser-level access” to the operating system. As such, you will have the ability to deploy any software that is running on the OS. Contrary to popular belief, this hosting comes with a variety of benefits. Not only does it increase your site’s speed and security, but it also ensures availability. If you are unconvinced by its prowess, check out the many benefits it offers. When creating a website, the first thing that you need to consider is reliability. Interestingly, this is the biggest benefit that you can get from a VPS hosting – it simply increases your website’s reliability. Plus, it improves your site’s performance and uptime. You will also be able to overcome different issues, such as server load and RAM, just to name a few. You can certainly enjoy this benefit! The fact that you can easily find a cheap VPS hosting is already beneficial. In reality, this hosting is really a lot less expensive, especially when compared to a dedicated web hosting service. And it is quite overwhelming consider the services provider are akin to that of a dedicated host. Moreover, this type of web hosting does not break your wall when you decide to add features and/or upgrade resources. As a matter of fact, you will find them very reasonable in one way or another. Keep in mind that a virtual private server is synonymous to an independent, dedicated server. And although the former could possibly contain other virtual environments, you will appreciate how it also deploys its own operating system copy. In addition, you will be getting administrative rights intended for your VPS. Above all else, you can easily install a variety of applications, ranging from Apace, MySQL, and PHP. In today’s digital age, it is safe to say that your site’s security is very crucial. It can be a make or break for your website, especially if you are not careful. Perhaps the greatest benefit you can get from a VPS hosting service is that it ensures the existence of high-security levels. So even if you decide to share the server with other with other users, you can rest assured knowing that your data will remain confidential among your private environment. Yes, that is right – this type of hosting service gives you multiple domain hosting. Yes, shared servers usually offer dozens of domain hosting, but most of them are capable of providing the right amount of resources; hence, you can easily enjoy a smooth performance. Remember, too, that a lot of VPS providers love to offer plans that would allow you to multiple websites. And what is great about this is that you can do so without having to suffer from performance issues. In some cases, you can just set-up separate email accounts and, at the same time, allocate certain resources of each of these websites. It is given that most web owners love the idea of customizing their VPS, so it can easily meet their expectations and/or need. In other words, it is very possible for you to pay for services that you actually need instead of incurring extra charges for features that are of little to zero use to you. 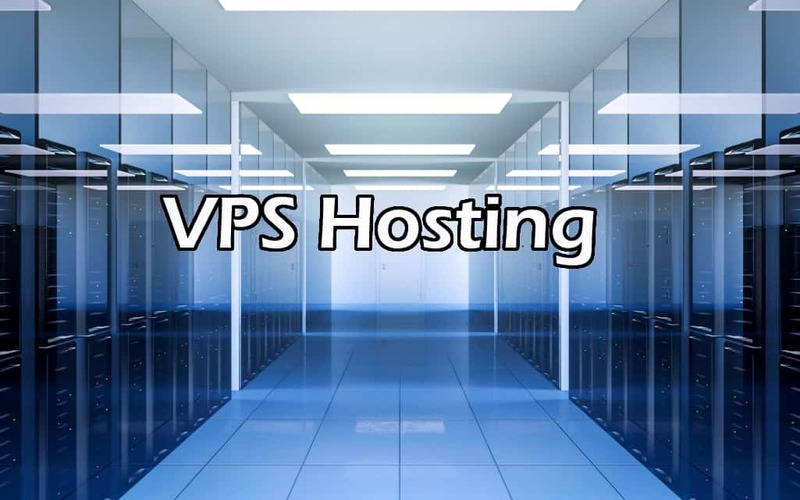 What is more is that you can easily scale your VPS hosting service. So, what does this exactly mean? Well, it is pretty straightforward: your business will be able to grow in just a short period of time. And as your business grows, your hosting plan will scale up in order to accommodate extra resources and storage space. Your VPS hosting provider can offer you the means to back up your data. Remember that whenever you are on the Internet, it is easy to experience anything within your provider’s network. Hence, it is best to choose a service that could enable you to manually backup all of your data. Otherwise, you will have a hard time restoring if and only if anything goes wrong. Furthermore, a VPS hosting service will automatically store your data on a virtual server. This should allow you to easily access this data anytime and anywhere. Of course, just remember to have an internet connection to make sure you can do the latter. It cannot be denied that VPS hosting brings a deluge of multiple benefits. Also, there is no doubt that it can easily help grow your online business. This is due to the fact that this type of hosting can give you an expensive way of getting controls, features, and flexibility.